J.M. Snyder » Between States Box Set now available! Between States Box Set now available! My box set Between States is now widely available. It contains all three stories in my Civil War shapeshifter trilogy. These stories are no longer available individually, so you can only get them in this complete set! Under a Confederate Moon: Bitten as a teen, Caleb now suffers through a painful transformation from human to bobcat a few days each month. As a bobcat, he leaves behind his camp and fellow soldiers to explore the night. But a gunshot and the bright scent of fresh blood draws him to a clearing where he learns that he isn’t the only one of his kind. Wounded and hurt, Brance is a loner by nature, gruff and grumbling, who doesn’t want anything to do with Caleb … at first. The younger bobcat prevails, and starts to win Brance over, until they turn human again and find themselves on opposite sides of the American Civil War. Beneath a Yankee Sky: Brance Brenneman is used to harsh conditions — the eldest son of a stern Amish preacher, Brance was bit by a werecat as a young boy, and managed to keep his secret from his family until he was old enough to leave them and their religion behind. Years later, when the nation is divided by the American Civil War, Brance finds himself enlisted in the Union army. By sheer chance, he meets Caleb Chilson, a Confederate soldier who bears his same shapeshifting burden. Together they leave the war behind to forge a new life in the wilderness of Pennsylvania. But trappers near their camp are hunting bobcats, and they don’t much care if Brance and Caleb are only in the fur part of the time. Brance finds his peaceful existence shattered, and he has to fight to defend the life — and the bobcat, the man — he’s come to love. 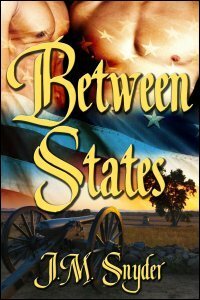 A More Perfect Union: Once a Yankee soldier, Brance Brenneman has left the War Between the States behind and gone into hiding with his lover, former Confederate Caleb Chilson. Deserters intent on keeping to themselves, they find a nice, sparse acre of land where they can finally settle down. Life falls into domesticated routine for both the brooding Yank and the excitable Rebel. Together they struggle to create a more perfect union forged of love and their shared shapeshifting secret.